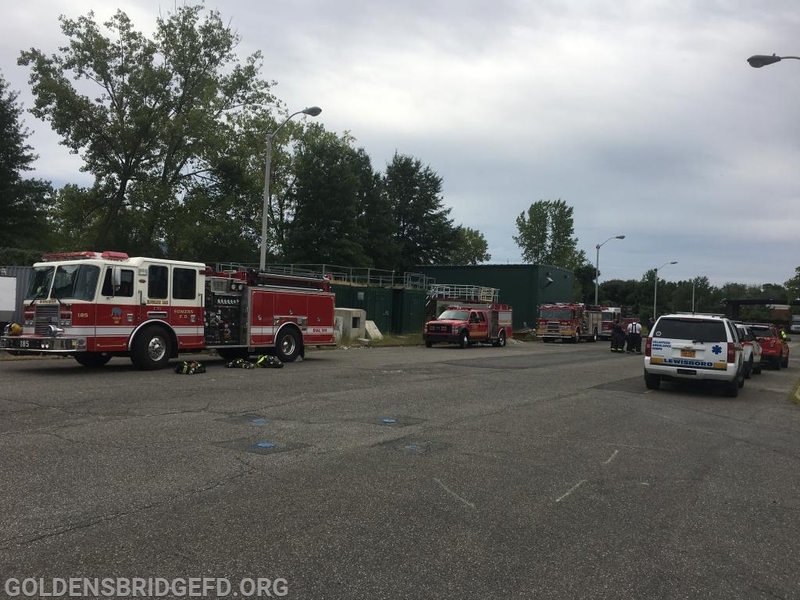 On Saturday September 8th, the Golden's Bridge FD was joined by Croton Falls FD & Somers FD at the Westchester County Fire Training Center for some joint training. A brief discussion was done before everyone went into the field to practice hands on. The firefighters and officers from GBFD worked with firefighters and officers of the Croton Falls GBFD & Somers FD as a team practicing many different skills. Some of these skills include structure fire operations, search and rescue operations , apparatus pumping, and water operations.The three agencies spent about two hours working together. We thank the CFFD & SVFD for their continued support and taking time out of their schedule to let us train with them! We hope to train with them again in the near future! Units: GBFD - Car 2141, Car 2143, Engine 139, Engine 140. SVFD - Car 2442, Engine 185. CFFD - Car 2071, Car 2073, Engine 149. LVAC - 6703.